Betty & Bear Flowers is a bespoke Wedding Florists in Hertfordshire working with brides nationwide to help create their dream wedding flowers. 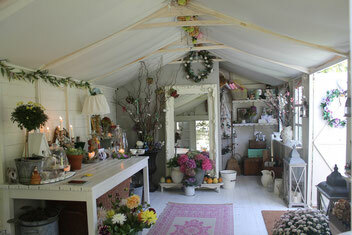 Flowers are extremely important and can instantly create the most magical feeling in any room. Working with brides is so rewarding and I love meeting wonderful new people in love and oozing with passion with a dream which I help make reality. My passion and love for wedding floristry started from a young age. I can remember cutting flowers from the garden and decorating my bedroom with an array of bright and wonderful colours. I was professionally trained by a wonderful lady called Mary Brown over 25 years ago. She was an inspiration and helped me develop my fondness for flowers and taught me how to create perfection with even the most complex arrangements. My aim for every arrangement I create is perfection, whether it's in my own home or for your most important day....excellence and quality with a memorable service. My favourite part of any wedding is when the bride sees her finished flowers for the first time - especially their hand tied. They are usually all ready with their make-up and hair done, ready to put on their wedding dress. Our first get together will be a great opportunity to meet in my magical workshop; I will then be able to understand your vision, theme and the look you wish to create for your big day. We'll also get to know each other a little better. To arrange your free consultation please contact me today and we'll find a convenient time to meet. Please feel free to have peak at some of my previous work by visiting my portfolio. You can also find me on Facebook and Twitter @bettybearflower. To read some wedding tips and secrets or to read the wonderful real tales of my previous brides weddings please visit my wedding blog. 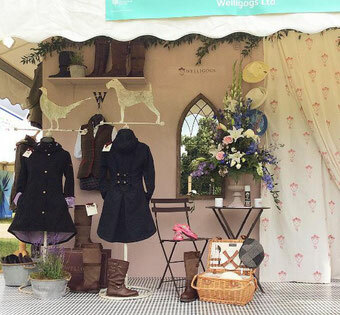 We have received 4 out of 4 gold star award at Hampton Court 2016 for the Welligogs stand! After styling the stand for Welligogs at Chelsea Flower Show in May 2016, we were awarded a 4 gold star trade stand award! 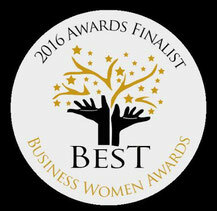 Such an honour to work with an amazing company and receive such a prestigious award.